Mohamed Salah is upbeat about Liverpool's chances to finish the season as Uefa Champions League and English Premier League winners. 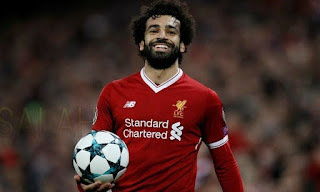 The Egypt star spearheaded the Reds’ campaign on both fronts, scoring 44 goals as Jurgen Klopp's men finished third on the domestic scene and fell short at the last hurdle in Europe, losing in the final to Real Madrid. 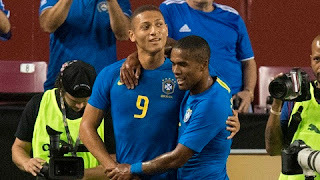 And ahead of their 2018-19 Champions League opener against Paris Saint-Germain on Tuesday, the former AS Roma star believes they can attain success in both competitions. "Last season we knocked out Manchester City, then Roma, who had just beaten Barca in the quarter-finals. Each time, they were incredible games," Salah told France Football. "We played against teams challenging for the title and we still managed to reach the final, so of course we can do it again. "I'm sure of it. We can even win both, the Champions League and the Premier League. I don't want us to put pressure on ourselves, but yes, everything is possible. "It's a good draw with some good teams. PSG have some very good individuals and a great team. I'm looking forward to playing them. I'm looking forward to a very enjoyable and intense encounter."